If you're caught up on my most recent posts, you may be second guessing whether or not a holiday to Australia is for you. A delightful holiday can quickly turn into a costly one. But that doesn't need to happen! It is super easy to explore Melbourne on a budget. 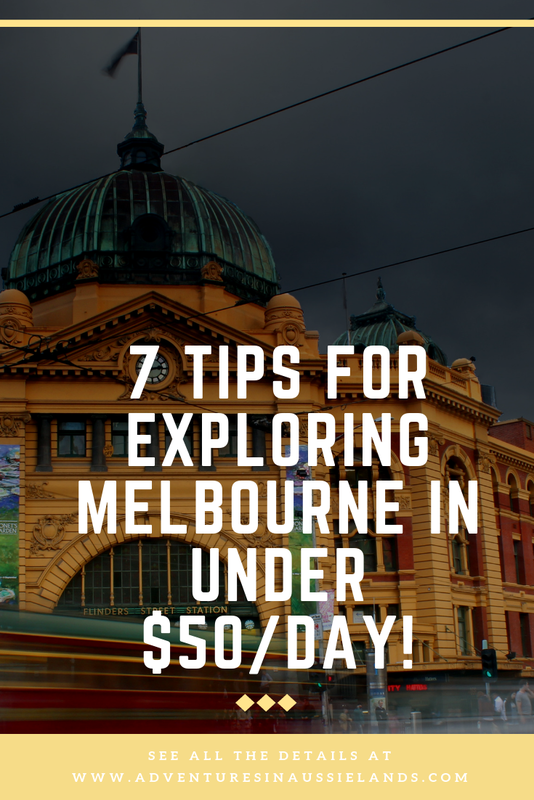 Here are my tips and tricks for travelling around Melbourne for under $50 a day! When travelling by tram in the CBD, it is completely free! You never have to worry about touching on or off as long as you stay within the free tram zone. Utilising the free tram zone will get you to all of the must-see attractions within the CBD. Planning on travelling outside of the CBD? There are a couple options for getting low or no cost travels. Check the various backpacker travel groups on Facebook. Many people will offer free rides to a destination you may want to see. If travelling with people you're unfamiliar with doesn't quite sound like something you want to do, try using Uber Pool or Ola. With Ola, you get $25 worth of travel for free! Uber Pool also gets you from point A to point B at a super discounted price. Eating out will take a massive chunk out of your daily budget. Even eating at Macca's can run you $12/meal. Don't waste all of your budget on food! Prep your meals ahead of time! If you're rushing around the city, you can easily pack light, filling meals to hold you over till you're at your hotel. Most hotels and hostels have a kitchenette area. You may not be able to prepare everything you would back at home, but you'll still be able to throw some delicious food together! You can find great deals on fresh produce and meats at the local markets or supermarkets. Not only are you getting fresh, healthy meals, but you're also saving heaps on your budget. Want to shop for your meals and see one of Melbourne's most iconic sights? Queen Victoria Market has some of the cheapest fresh produce and meats in the city! Accommodation can cost you a pretty penny while in Aus. If you're not too fussed about staying in a fancy hotel, there are plenty of ways of finding low to no cost accommodation. Housesitting websites allow you to stay for free in exchange for watching someones house and possibly their pets as well. There are some housesitting websites you can use. However, it may take some time building up a profile that allows people to trust you. Start by housesitting in your local area so that by the time your trip comes around you'll be well established. Couchsurfing is another excellent way to have free accommodation while travelling. Not only will you get free accommodation but you'll also be able to get an insiders perspective of the city. They will be able to share tips and tricks that most tourists won't get to experience. Just be sure to trust your gut. If you feel wary of the person before your stay, don't stay with them. Hostels are another incredibly cheap way to stay while in Melbourne. The staff is always super knowledgeable about getting around the city and what to see. Many hostels also have discounted tour prices if you want to explore the Yarra Valley, see the Penguin Parade, or tour the Great Ocean Road. Alcohol is friggin' expensive in Australia. You will easily blow your entire budget just going out a couple nights. The most obvious thing to do to save your budget is to not drink while in Australia. For some, you enjoy going out having a drink or winding down your day with a nice glass of wine. If you are going to drink in Australia, here are some money saving tips. First, buy directly from the bottle-o. This will be much cheaper than buying a pint at a pub. Second, opt for wine over beer or spirits. Wine is more inexpensive than bottled water here in Australia. Your dollar will go much farther when drinking wine. Last, drink during Happy Hour. This is when you'll find great deals on drinks. There are many pubs and restaurants around the city with incredible happy hour deals. There are so many cheap or free sights in Melbourne. When you're on a budget, you must take advantage of them. Many sights are located within the CBD, but there are other impressive free sights scatter across Melbourne. 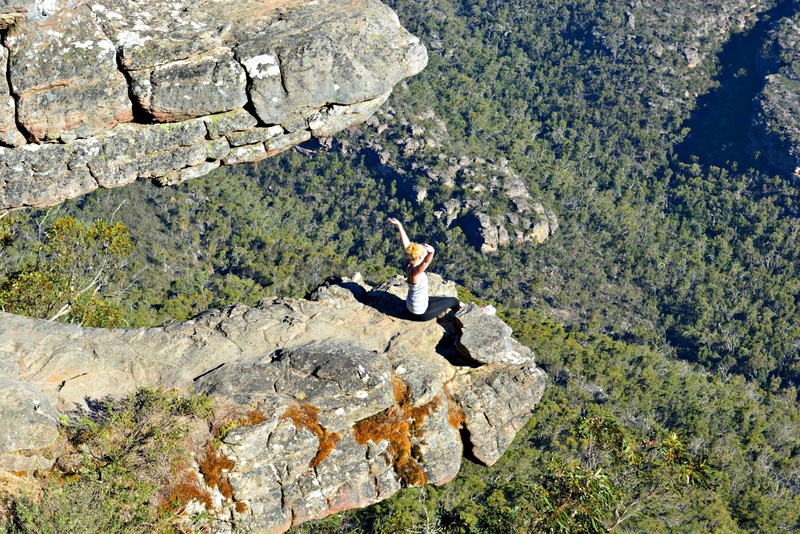 Love to stay active and rock climb? There's a free outdoor bouldering wall in Burnley. Do you like to window shop? Take a trip to Chadstone and see all the lovely shops. Just be sure you're not tempted to buy anything! When shopping at Woolworth's or Coles, your receipt contains discounts both on the front and the back (when you sign up for a free rewards card). Even if you're only there for a short period of time, these docket deals give discounts for alcohol and for food. It's a great way to help stick to your budget! I don't know about you but I LOVE a good deal. For the longest time, I had forgotten about Groupon. I honestly thought the site had shut down. But recently, I found it and it's become my best friend. As I don't have extras on my health insurance, I've found discounted physio appointments, discounts on car services, discounted restaurant deals, and more. Groupons is PERFECT for keeping you on budget whilst in Melbourne. Be sure to utilise it! How do you stick to your budget while travelling? Share your budget-friendly tips in the comments below! I just LOVE Groupon! I always check it. I've found some great deals there. Thank you for these tips! I love when I can save. WOW these are great tips! I'd forgotten about most of my money-saving tricks I used backpacking across Europe, and there was no Uber or Groupon back then - I have relatives in Melbourne, now I can think more seriously about a family trip! It's great that you can use free public transport in Melbourne! I don't think I have seen anything like it in any other places I traveled to. It's also interesting to know that wine is so inexpensive in Australia. I wonder why. It's just within the CBD but it's still pretty incredible that Melbourne offers free transport. I know I was told once why the wine is so inexpensive but I cannot, for the life of me, remember why. You are so right about the free sights. 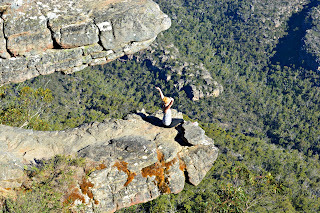 Most scenery in Australia is free as compare to China. What a great idea to enjoy all the beaches and mountain for free. Book Klook online to get discounted price, save up to 10-20%! I absolutely love this because I have been wanting to plan an Australia trip, and staying on budget is so important! Seeing these ideas to save and till love it are perfect for me! This is a great post - I always imagine it would cost so much to go and see Melbourne so having ideas to keep costs down is a must! It's much more affordable than many people realise. Even the flights round trip can often be cheaper than flying domestically in the US. This is a great post, its always good to have some basic knowledge and tips about the place we are visiting. Thanks for sharing.!! This post is also valid for other places too. Totally helping us for a budgeted trip, respective of the place of course. I’ve been around Sydney & Queensland... hope to visit Melbourne as well! Plus, I need to bookmark your post for my future plans. Thanks to you! Love that you mentioned to plan your own meals. I just went on a trip with my family for 5 days and the most expensive part was eating!! I've never been to Australia but would love to go one day! It can also be the healthier option as well. I find that when I eat out a lot when I travel, my body doesn't handle it very well. And no one wants to get sick whilst on holiday. This is great! I love travelling but it's always so expensive! Not always :) I average about $700 total for my international trips. That includes flights, accommodation, sightseeing, and meals. Just have to follow some of these tips and be a bit flexible with your flight dates! I have always been so fascinated by Australia. Such a fabulous way to see it with not a huge budget. When I saw the title of your blog post, my first thought was we'd spend well over $50 just for food. Australia is not on our bucket list for the time being. It's definitely easy to spend that amount on food here but there are also super affordable options to help save a bit of money. This is great post with lot of tips, Melbourne is wish list for long time. I may visit sometime. We always try to include free sights in our trips, wherever we go. And it is surprising how many of those are available. Great tips! Yes to all these tips! I also use Groupon, I got some great deals there.